Instead of £880.00. You save £44.00 due to the online discount . 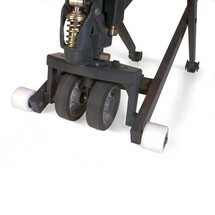 The electro-hydraulic Ameise® scissor lift pallet truck can also be (retro)fitted with a position control function. The automatic position control maintains a set working height at a constant level and thereby ensures ergonomic working and greater efficiency throughout the entire loading and unloading process. To maximise its ergonomic performance, the electro-hydraulic Ameise® scissor lift pallet truck can also be equipped with an optional position control function. This can either be ordered with the truck or retrofitted at a later stage. With the aid of a sensor, the position control keeps the forks at the set working height, which allows the user to maintain an ideal ergonomic position throughout the entire loading and unloading process. The forks lower automatically during loading or are raised automatically when unloading. 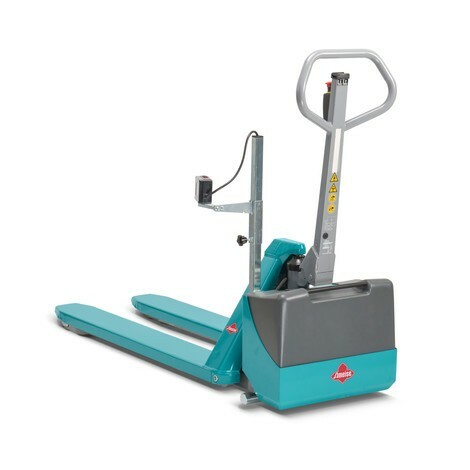 The position control is small and compact and has the advantage that it can be used both on the left and on the right of the scissor lift pallet truck. A flashing signal lamp indicates to persons in the proximity when the automatic function is active. 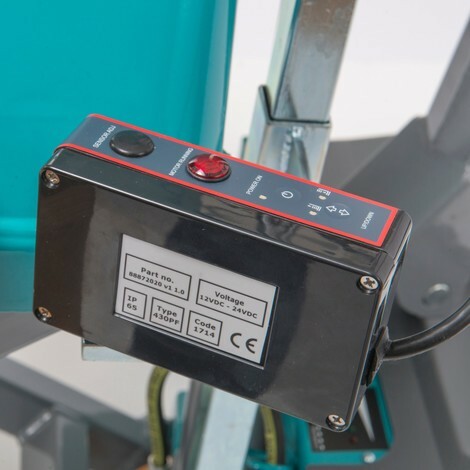 To protect the operator's feet, the position control is also equipped with a safety switch. When lowering the forks, this ensures that a safety clearance of at least 120 mm is maintained between the floor and the lower edge of the forks or pallet. You can retrofit your electro-hydraulic Ameise® scissor lift pallet truck with the automatic position control at any time. Benefit from enhanced ergonomics when loading and unloading pallets by purchasing the position control from our shop.